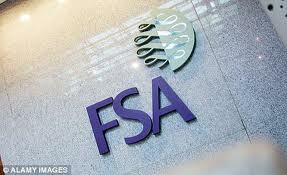 The Financial Services Authority has brought charges in the UK against an individual for acting upon inside information and generating a net profit of £591,117 from trading between September 2007 and July 2008. 43 year old Richard Joseph has been found guilty of 6 counts of conspiracy to deal as an insider. He has been sentenced to four years on each count, which will be served concurrently. Joseph, a former futures trader, was provided with confidential and price-sensitive information from two investment banks concerning proposed or forthcoming takeover bids. The confidential and price-sensitive information was provided to Richard Joseph by Ersin Mustafa, a print room manager at JP Morgan Cazenove. During the time that he was trading Richard Joseph transferred a substantial amount of money to Ersin Mustafa. Attempts were made to disguise the receipt of this information including the use of numerous Pay As You Go mobile telephones – one of which was purchased using a false name and address – and webmail “drop boxes” where confidential documents containing price-sensitive information were placed for Joseph to access. Having received this information, Joseph then placed spread bets in the expectation that when the information became public knowledge the share price would rise and he would make a profit. Ersin Mustafa, who is believed to be in north Cyprus, was also a source of inside information in the prosecution of Ali Mustafa, Pardip Saini, Paresh Shah, Neten Shah, Bijal Shah and Truptesh Patel who were convicted and sentenced in July 2012. The link between these two cases could not be published before now. In sentencing Richard Joseph the trial judge, His Honour Judge Pegden, remarked: “It is plain to me that you knew precisely what you were doing. This was carefully planned and much discussed between you; before, during and after the trades. This was not isolated criminal behavior”. The Judge also commented that there was a need for an element of deterrence when sentencing this case, not least because this type of behaviour is difficult and time consuming to detect. Wondering how exactly they got found out. And what does a “print room manager” do? All transactions in equities are reported to the FSA on a daily basis, and the FSA are able to establish who is doing what and how much they are making. Spread bets in equities are reported as well. If he had traded stock futures, wouldn’t he have avoided this? A print room manager will have access to sensitive information contained in documents he is responsible for printing. There was another story some time ago of another print room worker doing something similar. They should outsource printing back to monasteries and convents!